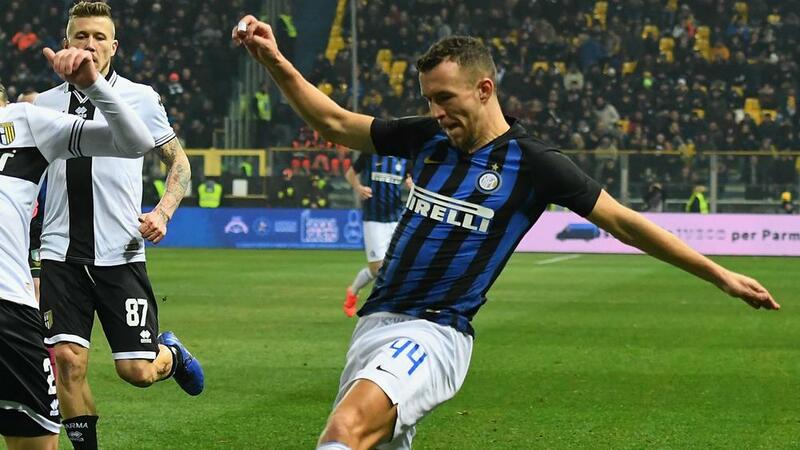 Luciano Spalletti singled out Ivan Perisic and Radja Nainggolan for their respective performances in Inter's 1-0 win over Parma after both had endured difficult spells. Inter eased the pressure on head coach Spalletti with the win, which was secured by Lautaro Martinez 11 minutes from time to end a run of three successive Serie A matches without a victory. Nainggolan, who has not had a great time since joining Inter from Italian rivals Roma in pre-season, set Martinez up for the winner, feeding him into the box with a well-weighted throughball. And Perisic, who was strongly linked with a January transfer after telling Inter he wanted to leave, also showed flashes of his quality out on the left flank. Their performances did not go unnoticed by Spalletti, who spoke highly of them in his post-match news conference. "Perisic put in a great performance," Spalletti told reporters. "He reacted like a great player in response to the noise surrounding him. "Nainggolan also demonstrated that he's on the right path. He showed some quick bursts, and this is something we haven't seen for a little while. "This forced Parma to keep on playing long balls, with [Stefan] De Vrij and [Milan] Skriniar, who are like two lions, being able to deal with every situation perfectly. "However, we got it wrong up front too many times and threatened them less than we could have done." Martinez got the goal when both he and Mauro Icardi were on the pitch, but Spalletti tempered the expectations of supporters hoping to see them playing in tandem more often. "Lautaro has fighting spirit and he does really well when the ball comes to him," the coach added. "Both him and Icardi are our two main strikers. They are very similar and you need to find the right moment to play them. "That can be when the opposition looks to press and we have the right peace of mind to support them."